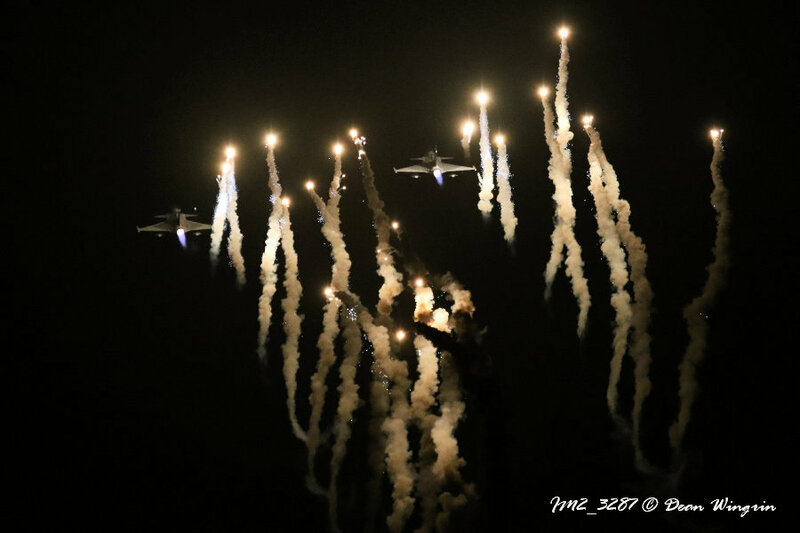 Gripens releasing flares during the Muizenberg night shoot during Armed Forces Day. Picture: Dean Wingrin. Saab Grintek Defence has been given the Exporter and Enterprise Development Awards at the sixth annual South African Premier Business Awards. The company has now received the Exporter Award for the fifth time. The awards were accepted by Saab Grintek Defence’s President, Trevor Raman, and Deputy President, Evelyn Motsatsing, at the awards ceremony in Johannesburg last week. Saab Grintek Defence stated it was an honour to again win the Exporter Award, having won it in 2013, 2014, 2016 and 2017, and to receive the Enterprise Development Award as recognition for the organisation’s continued focus on skills development initiatives and transformation strategies. The SA Premier Business Awards acknowledges business excellence in South Africa and is organised by the Department of Trade and Industry (DTI), in partnership with Proudly South Africa and Brand South Africa. The awards last week were were announced by Trade and Industry Minister Dr Rob Davies. “The Enterprise Development Award celebrates companies that procure from small, medium and micro enterprise, in particular black- and women-owned enterprises. The organisation’s investment in enterprise development initiatives is unique to the defence industry, investing time, skills and resources to enhance the vision of transformation through highly strategic enterprise and supplier development programmes, industry-relevant socio-economic initiatives in the Tshwane area, and the extensive and sustained training and skills development of employees,” Saab Grintek Defence said. With the majority of its orders coming from other countries, most of Saab Grintek Defence’s locally produced products are exported, bringing income into South Africa. These include electronic warfare self-protection suites, maritime ESM (electronic support measures) systems, civilian aircraft missile protection systems, communications management systems, in-flight data recording systems, and health and usage monitoring systems. SGD is Saab’s biggest operation outside Sweden, employing close on a thousand people across its sites in South Africa. In South Africa, Saab sees demand from several key areas including border protection, civil security, maritime security, and mobile medical facilities. It has been supplying kitchen equipment to the South African National Defence Force (SANDF) under Project Teamster, which is replacing the military’s field cooking capabilities. Some of Saab Grintek Defence’s most important products include the Integrated Defensive Aids Suite (IDAS) and Land Electronic Defence System (LEDS), health and usage monitoring system (HUMS), and submarine and surface vessel laser and radio frequency warning systems, amongst others. One of Saab Grintek Defence’s biggest customers is the Indian military, which has bought its IDAS for use on its helicopters.